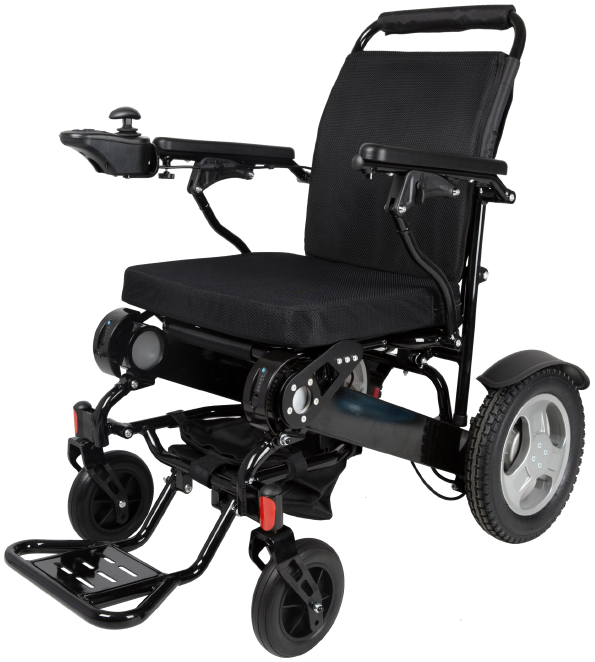 Stay mobile when you are on the go with this super lightweight folding Electric Wheelchair in Perth. 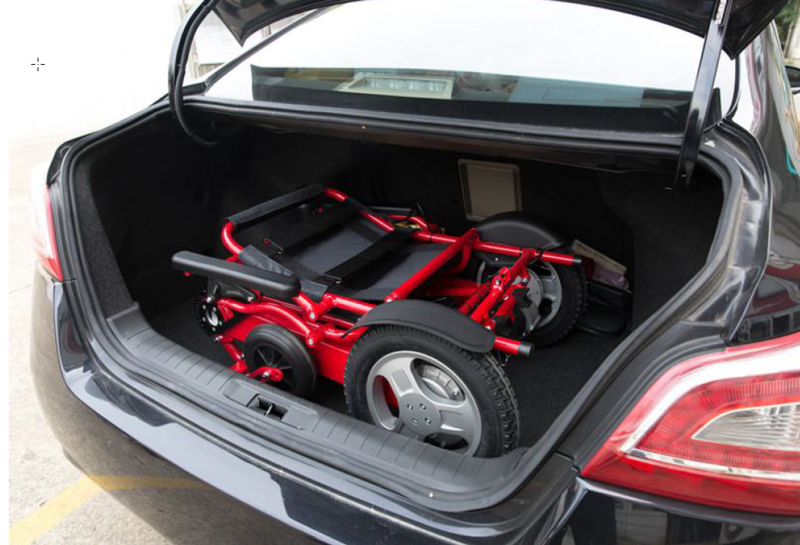 Folding without any disassembly required, two people can place this 26kg electric wheelchair in the boot of a car quickly and easily. 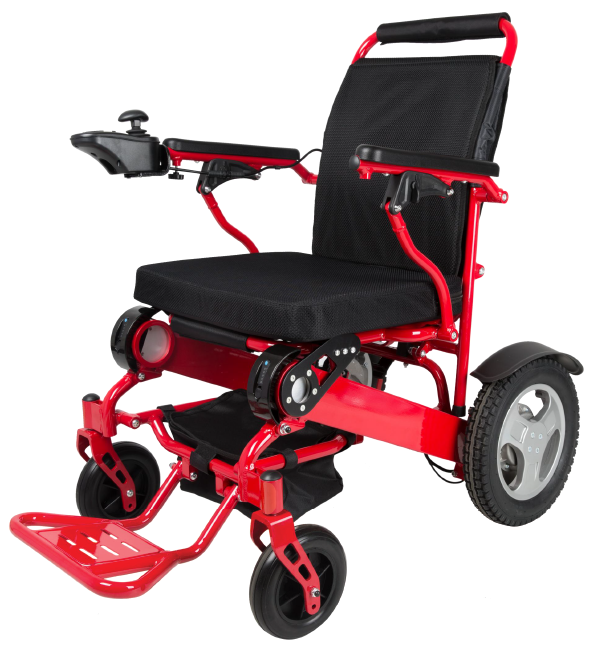 Powered by 2x Polymer Lithium 24V 6AH batteries running 2x 250W quiet brushless motors for ultimate power you have a range of around 25km on a full charge. Charging time of 6 hours from empty to full. 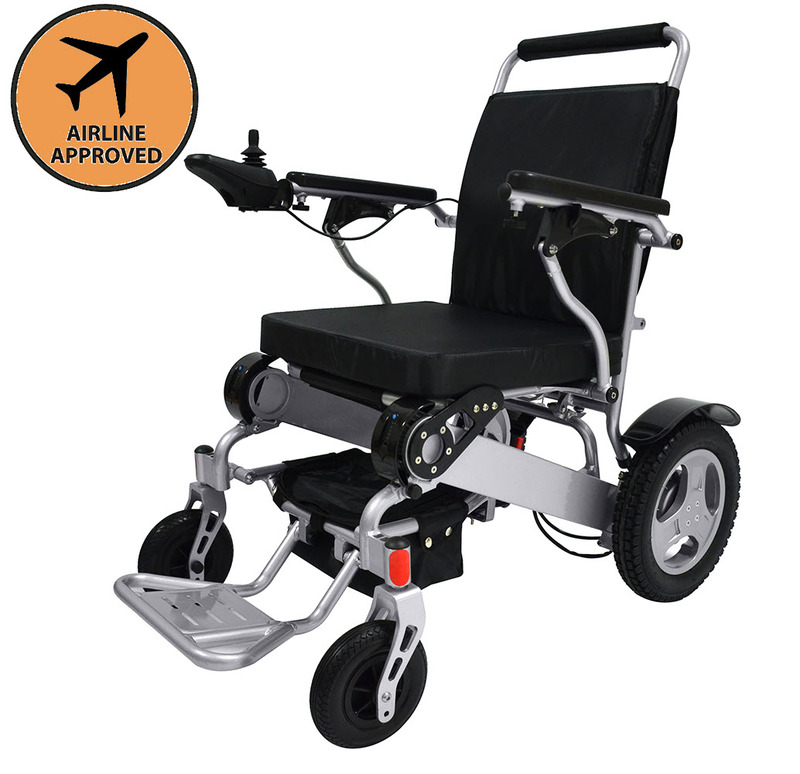 * Portable - Electric Wheelchair, when folded, can be put into most vehicles. 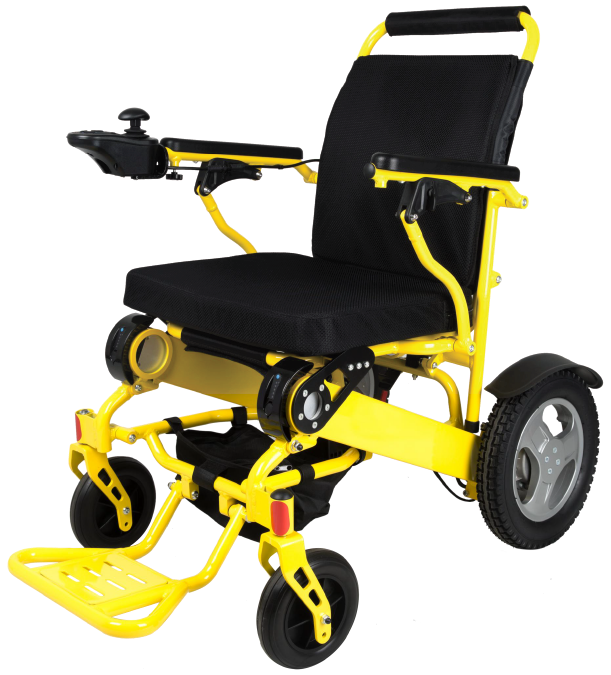 * Portable electric wheelchair, when folded, can be put in most cars. 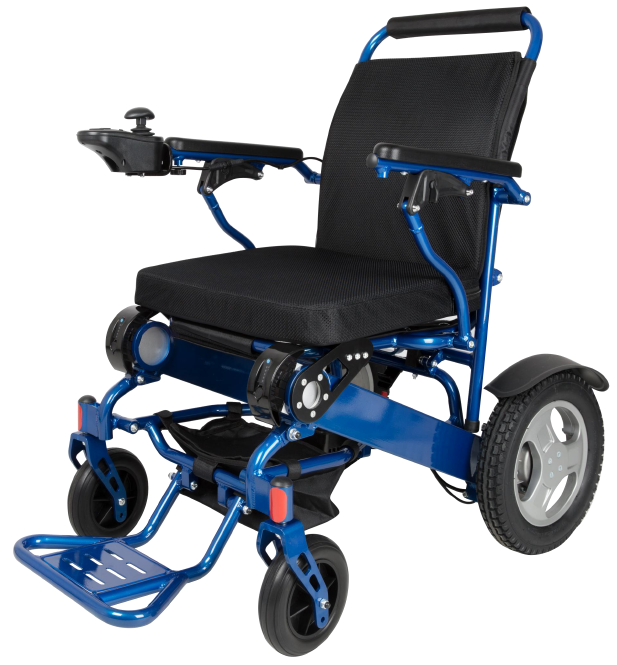 * Perfect outdoors, variable speed to 6kmph, 25km range. 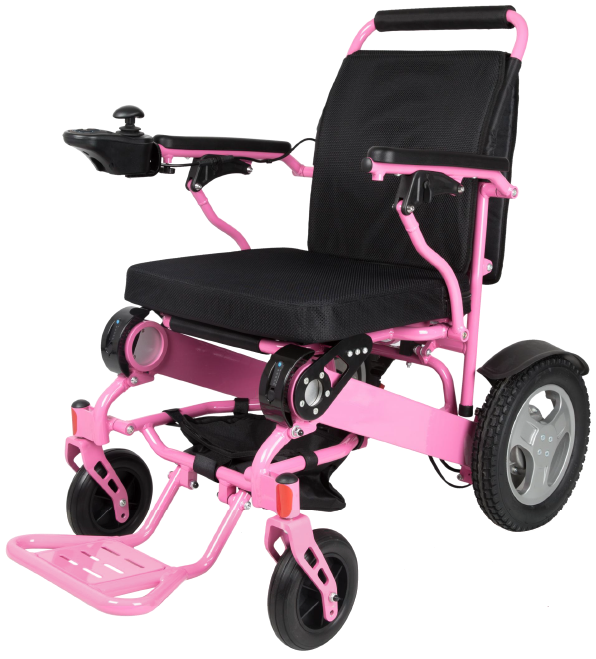 * Perfect indoors, can turn on the spot. 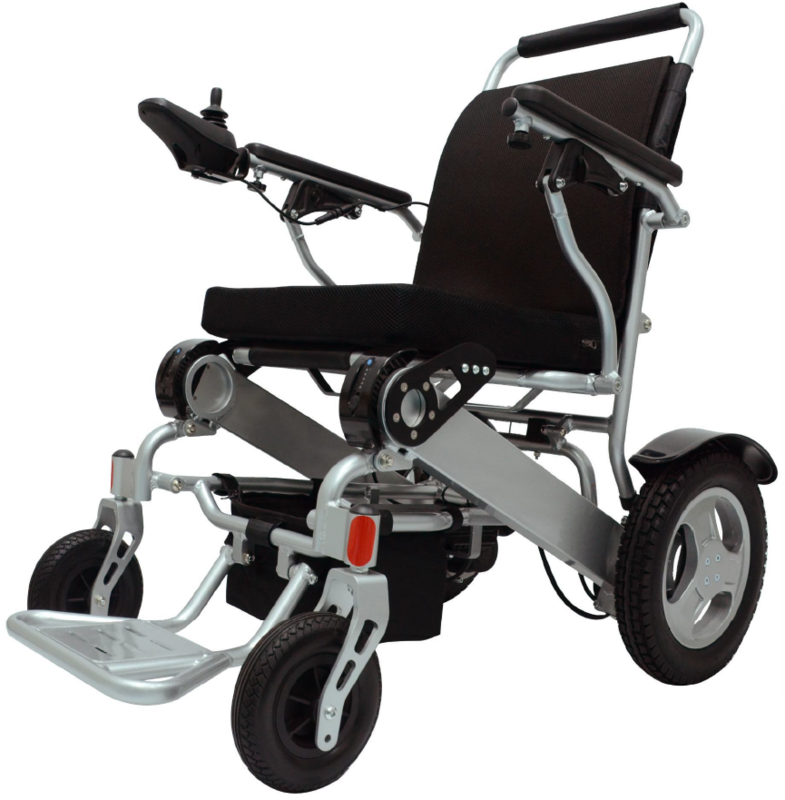 * Overall width 59cm, Seat width 48cm. * Mode Switching - electric and manual mode switching. 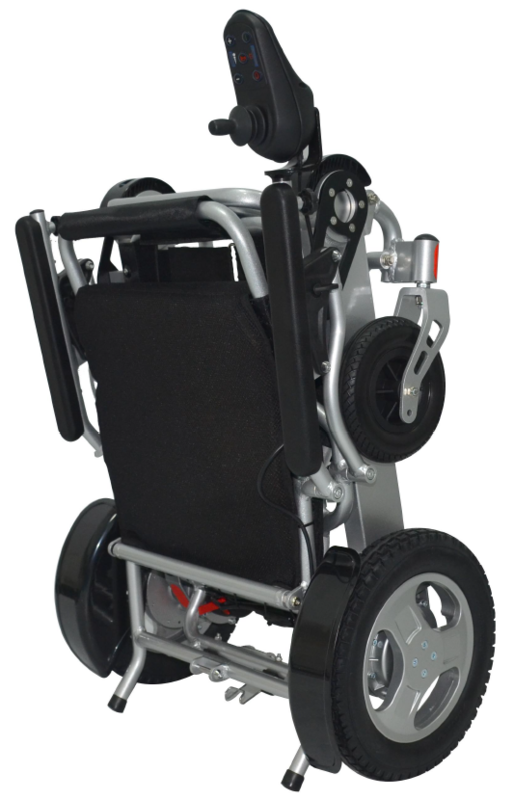 This Power wheelchair can stand stably when folded and has an intelligent electromagnetic brake, hold on hills, stops when joystick released.